Okay so everyone hopefully understands that you can’t just simply survive in the openness of outer space. That’s why astronauts are required to wear sophisticated suits to keep them safe. There are many reasons why outer space is not naturally habitable for humans, the lack of air and extreme temperatures being just the tip of the iceberg. But with a proper suit built to provide protection and breathable air, one can spend limited amounts of time in outer space. 1. The Empty Vacuum – The vacuum force, caused by a lack of air in space, can be large and significant. If instruments are unsealed they can break apart. If an astronaut has a suit leak or damage it will be exposed and compromised. That is an extreme temperature difference for just the direction that you are facing. 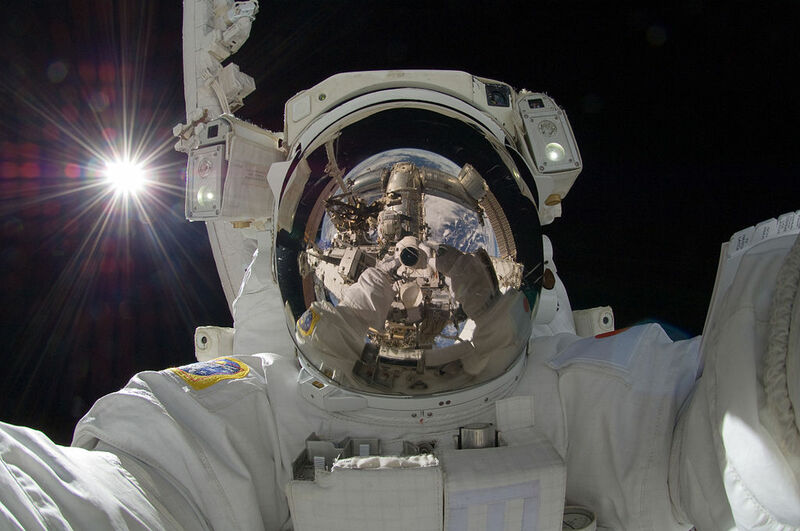 Astronaut suits must have heavily shielded face plates to protect astronauts from the sun, as well as the capability to handle both temperature exteremes (hot and cold). 3. Meteorite Impacts – Although colliding with other objects in space is rare, it is entirely possible and a legit threat. 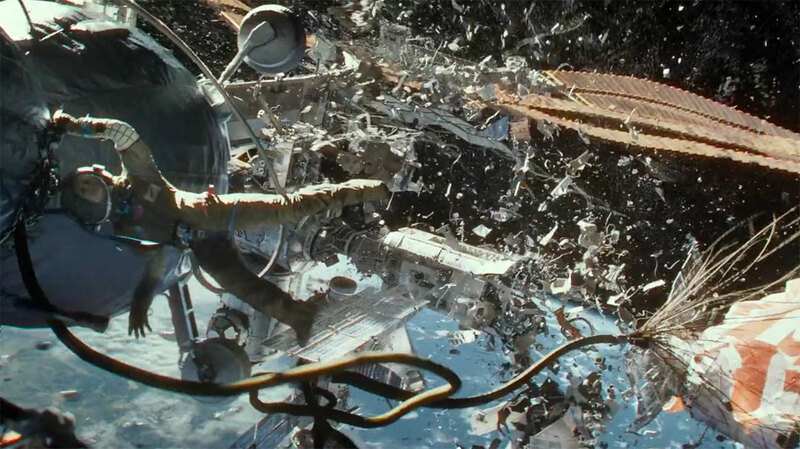 If you are within the orbit of a planet, where much of this debris gets captured, the threat is even higher. The amount of satellites in space is growing by the day, steadily increasing the amount of “space junk” within Earth’s orbit. Aside from that, small meteorites zoom past the outskirts of space and into our ozone everyday. 4. Radiation Damage – This is one of the most significant threats in space, especially to equipment. There are several sources and forms of radiation in space which can all be harmful to human health in a large enough dose. The main issue, however, is that this radiation can damage the finely-tuned instrumentation used by astronauts to do experiments in space. The radiation can alter and destroy data, and eventually renders almost all instruments in space useless. The second man to ever step on the Moon, Buzz Aldrin, is endorsing a new project that’s being called “Apollo 45”. The campaign aims to increase awareness about all Apollo missions and Apollo 11’s historic lunar landing. Aldrin, along with fellow astronauts Neil Armstrong and Michael Collins, launched towards the moon from NASA’s Kennedy Space Center in Florida on July 16, 1969. Collins orbited the moon in the command module as Buzz and Neil set foot on the Moon for the first time in mankind’s history. The pair spent a total of 21.5 hours on the moon’s surface during the mission. Check out the video below to learn more about the project, including who is currently involved and how you can get involved as well. “Aldrin will be in the Space.com offices on July 14 for a Google Hangout about the Apollo anniversary. Do you have anything you’d like to ask the moonwalker? Send in your questions via Twitter to @Spacedotcom or you can find us on Facebook and Google+. You can also leave your questions in the comments section below this article. Aldrin will share special videos celebrating Apollo from July 10 until the anniversary on July 20. You can learn more about the project through the Apollo 45 YouTube page. Check out some images from the Apollo 11 mission below. Last month, on May 2, SpaceX conducted a test flight of their new Falcon 9 Reusable (F9R) spacecraft. Check out the video below to see it in action. The “rocketcams” in the video feature a shot from the nose of the rocket followed by video footage from the ground. The test flight took place in McGregor, Texas under a FAA Experimental Permit. This was a successful 1000m test flight of the F9R, a developing spacecraft that will have the ability to carry astronauts to and from space. The “steerable fins” included on this spacecraft are unique and allow the rocket to carefully maneuver in mid-air to facilitate a smoother landing. These types of steerable fins have been used on smaller spacecraft by SpaceX earlier this year, but they are now incorporating them on their more important and larger crafts, like the F9R. The successful testing of the F9R means that SpaceX may soon be sending U.S. astronauts to the ISS (right now we’re contracting Russian shuttles to launch them into orbit). Rocket development and the growth of the space industry are truly in full steam. This November Samantha Cristoforetti, the first female Italian astronaut in space, will deliver the “ISSpresso” to the International Space Station (ISS). For the first time astronauts aboard the ISS will be able to enjoy freshly brewed cups of coffee. It’s amazing to believe that despite the hundreds of millions of dollars that have gone into the ISS, astronauts still don’t have access to a simple cup of Joe. Aside from the tremendous costs associated with anything that goes to or from the ISS, one of the main challenges for making coffee in space is overcoming the lack of gravity on the ISS. The last thing you want is scolding coffee droplets floating around in the morning. Google has created a lunar landing competition for private teams and/or companies to compete in. The competition, known as the “Google Lunar XPRIZE“, is offering successful participants over $30 million and is being called the “largest international incentive based prize of all time”. In order to win the prize, a team or company must fist safely land their craft on the surface of the Moon. Then, the craft must travel above, below, or across the moon’s surface for at least 500 meters. Finally, it must send back at least two “Mooncasts” (a video transmitted live from the lunar surface) for viewers on Earth. All of these tasks must be completed by December 31, 2015. Google Lunar XPRIZE is offering a grand prize of $20 million for the first place winner, but teams will also be competing for bonus prizes throughout the competition by completing specific terrestrial or in-space milestones. Offering these milestone prizes and extra bonuses helps to encourage teams to continue to compete and innovate for the entirety of the competition, since it gives them the opportunity to obtain a return on their investments even if they don’t ultimately win the grand prize. Also, the competition will be great publicity for any up-and-coming aerospace and robotics engineers or companies taking part. The teams competing have come from all over the world, and range from groups of college kids to sophisticated engineering and technology companies. Teams had to register in 2010 and meet specific requirements to be eligible. The count started with 33 qualified teams, but is now down to just 18. Hopefully one or even several of these teams will soon be opening new doors to the moon. SpaceX’s robotic Dragon capsule, which just returned to Earth this week, brought up the gear necessary to get this project started. 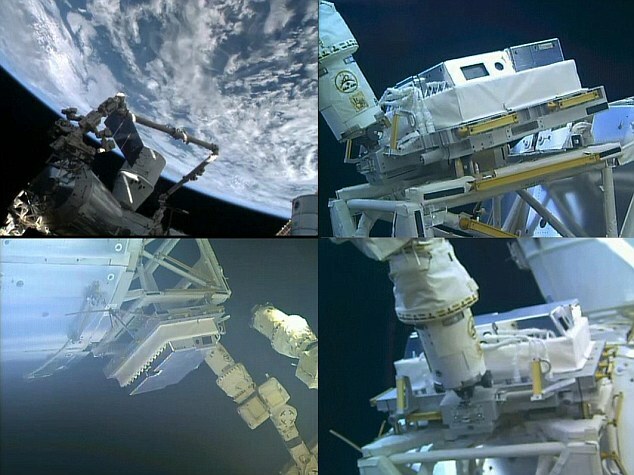 The gear arrived on April 18th and was installed by astronauts and operational by April 30th. Analysts hope that they can use the HDEV project to learn more about the effects of space on video quality and gear, so that in the future astronauts will know which imaging equipment is most resistant and most effective in conditions of extreme temperatures and harsh radiation. 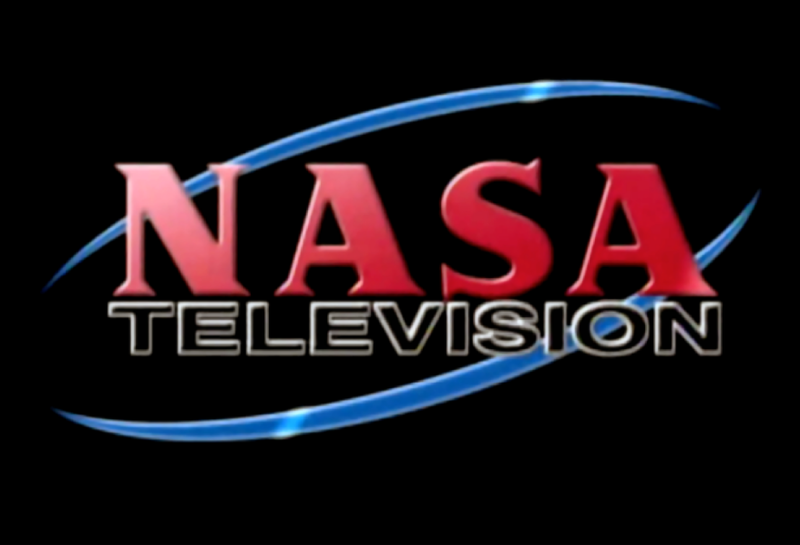 You can check out NASA’s live-streaming views here! Don’t worry if the screen is all black- this just means that you are viewing Earth’s night side. The ISS orbits the Earth about every 90 minutes so you shouldn’t have to wait long to get the spectacular view you’re hoping for.